The Parenting Cottage was founded in 1982 through the vision of Gloria Galey as a resource for families with special needs children. The original Board of Directors included Louise Cummins, Helen Lou Conner, Gloria Galey, Ed Irons, Dr. Richard Katnik, Roderick L. Shaw and Jane Tustin. 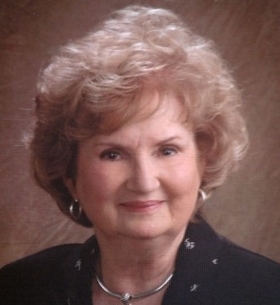 Gloria Galey remained with the organization for many years as Executive Director and serving on the Board of Directors. After her retirement, Gloria stayed interested and involved in what the Parenting Cottage was doing for the community up until her death in 2011. The acronym COTTAGE stood for Center Offering Therapy, Training, Assistance and Group Education. Originally housed in Seaman Hall through the assistance of the Episcopal Diocese, the Parenting Cottage received a generous gift from the J.E. and L.E. Mabee Foundation in 1985 to provide the facility currently still used. In 1995, a Parenting Cottage Task Force recommended the expansion of services from special needs children to include all children and families seeking support and parent education. Home visitation services were added and in 1998 as a recipient of a community block grant services were added for at risk families. The Parenting Cottage programs have been recognized as “Best Practice” programs and services to address the growing needs of the community and its families continue to be assessed and addressed. Since 2002, the Parenting Cottage has been a proud Lubbock Area United Way partner agency and providing services to address a broad range of community needs including advocating for children and working to both increase awareness of and prevent child abuse. Diversified services provided in a five county area, include individual parent education through the Parents as Teachers home visitation program, group parenting initiatives, teen parent initiatives and a car seat safety program assisting families in obtaining car seats for infants and young children. Annually the Parenting Cottage impacts over 500 families touching and improving the lives of almost 1,000 children. Build a strong community by building strong families. To strengthen and meet the needs of families across the community by providing hope, education, resources and encouragement (HERE)..
We are also a Safe Place location, providing sanctuary for any runaway or child in crisis.